Home » Viral Posts » Do you believe in mermaids? Do you believe in mermaids? Nobody knows for sure if they’re real, but recently a drone footage of what appears to be a group of mermaids has been circulating online. 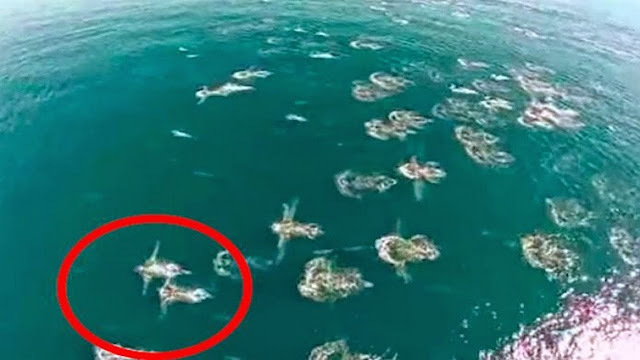 The video has been uploaded on several sites claiming it to be a proof of mermaids, as humanoid figures with tails can be seen swimming in massive number.